NOTE: As of May 15, 2018, Wunderground and IBM have stopped providing free API keys. 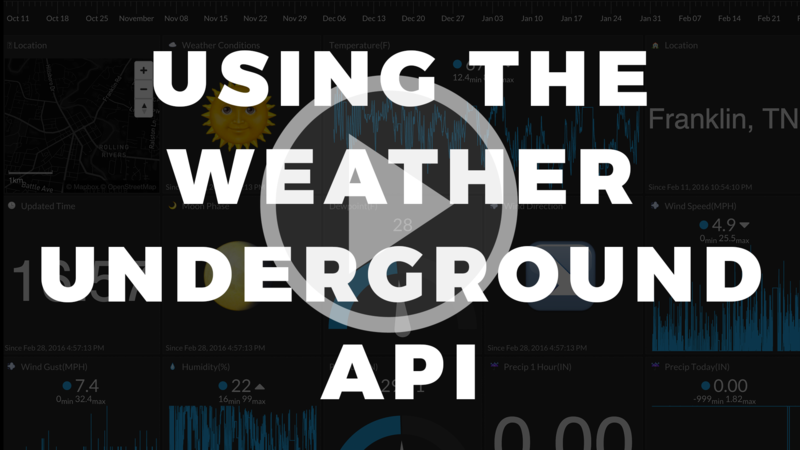 Check out an even better solution using the DarkSky API. 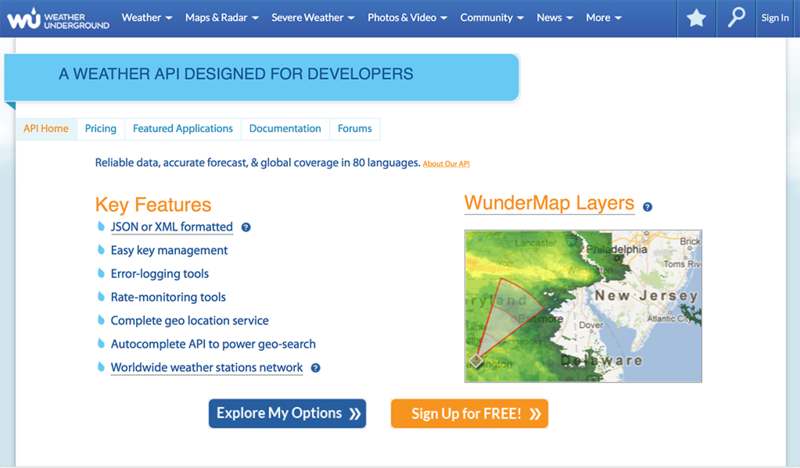 In order to use the Wunderground API, you first need your own API key. Getting an API key is quick and free. Click “Sign Up for FREE!”. 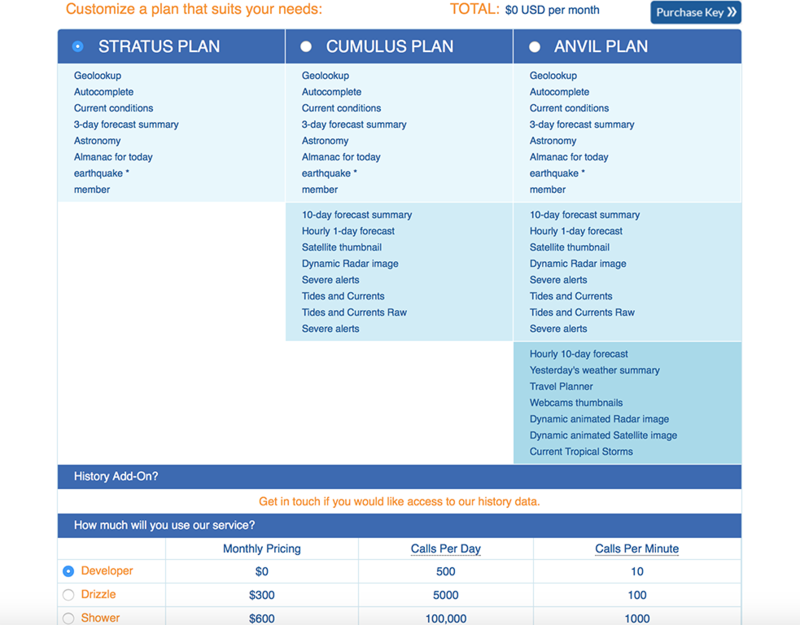 Go to Pricing and select the free Stratus Plan (default selection). You get 500 API calls per day for $0. There is no credit card required to get the Developer level API. Your key will look something like this: 0def10027afaebb7. Save it. Look at all of that glorious weather data. We just need to make a script to parse it, then ship it to a web-based dashboard. First, let's setup the destination for our data -> Initial State. (c) 2018 Initial State Technologies, Inc.